Not all credit cards are the same. Putting your business’ expenses on a personal credit card may seem convenient now, but using a business credit card can save you time and money down the road. Read on as we cover the reasons your business needs a business credit cards. Mixing personal and business expenses puts you at risk. For example, if a creditor sues your business for fraud, they may hold the owners liable, putting the owners’ personal assets on the line. Having a business credit card in your business’ name protects you from piercing the "corporate veil." Mixing personal and business finances puts you at risk. If a creditor sues your business for fraud, they may hold you liable, putting your personal assets on the line. Having a credit card in your business’ name can protect you by preventing this "corporate veil" from being pierced. Keeping track of your business purchases is important for both legal and tax reasons. Merging all your business purchases onto a business credit card can help you organize all your expenses. Some business credit cards even come with their own expense management. This can be especially helpful in planning budgets and determining tax deductions. Some credit card companies allow you to create cards for your employees to use. These employee cards use the same account as the original card and are sometimes free of charge to add. When you hire a new employee, you will already be in a position to add them to the business expenses. You may be able to make small business purchases on a personal credit card, but what about larger expenses? Businesses tend to have larger expenses than the average consumer. Most credit card companies will even raise the credit limit on a business credit card for larger purchases. Having a higher credit limit on a business credit card can also help your business' credit score. 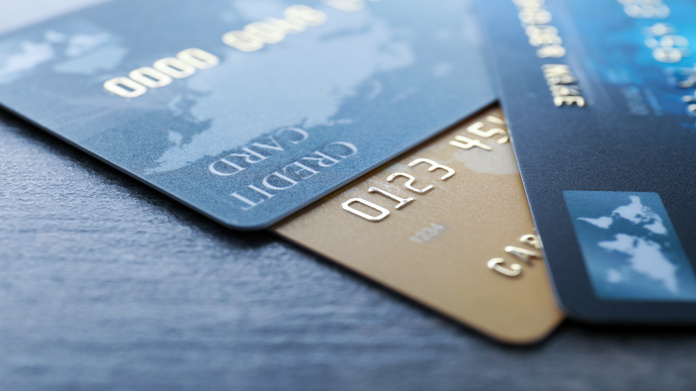 Making and maintaining purchases on a business credit card can help your business’ credit reputation in the long run. If you pay your bills on time and avoid accruing high levels of interest, your business will be more likely to get higher credit limits and even have an easier time applying for a business loan. Even though your business credit will grow because of a business credit card, your personal credit score is not insignificant. To apply for most business credit cards you will need a decent personal credit score to show financial responsibility. Credit card companies will report to business credit bureaus after you get a business credit card. But, some companies will also report to consumer credit bureaus as well. Business credit cards tend to offer rewards that gear toward business-related purchases. Both business and personal credit cards have rewards programs. Even so, personal credit card rewards may only apply to consumer categories like grocery and restaurant expenses. Credit card companies design business credit cards with businesses in mind. Some cash back programs can include points for transportation costs or marketing fees. For example, a business that does a lot of traveling may consider a business credit card that offers airline miles and cash back on travel expenses. An online company that sells goods may find a business credit card that offers cash back for shipping.